This lovely resort borders the Andaman Sea and is beside 500 metres of white sands amongst a palm grove in the north of Phi Phi Don Island. 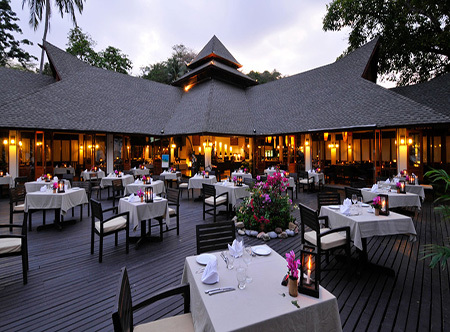 Bungalows are dotted throughout the gardens and linked by footpaths or wooden walkways to the main restaurant, bar and pool. This paradise-like location is simply perfect for relaxing, but if you crave more than idly lazing you'll find some of the finest diving in Thailand on the doorstep. In garden bungalows with air-conditioning, bathroom (shower only), fridge, double bed only, DVD, safe and large veranda ideal for cocktails. superior bungalows, beachfront bungalows, coral seaview studio, coral beach studio, pool villas also available. 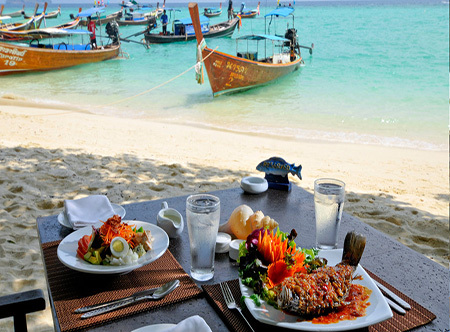 1 hour from Phuket airport to Ao Po Grand Marina then 1 hour by speedboat to the resort. Steps make the resort unsuitable for the less mobile. It is necessary to overnight in Phuket prior to the sea crossing to Phi Phi. 08 Jan-15 Apr 20 if you book at least 30 days before arrival. 08 Jan-15 Apr 20 if you book at least 60 days before arrival. 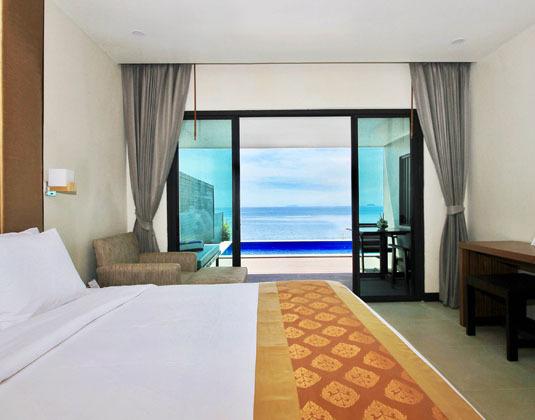 01 Mar-15 Apr 20 Not valid for beachfront bungalow, coral beach studio and ocean sunset pool villa. 16 Apr 19-15 Apr 20 all guests receive cold towel and welcome drink on arrival, complimentary homemade cookies in room and free in-room internet. 16 Apr-19 Dec 19 and 08 Jan-15 Apr 20 complimentary breakfast for one child below 12 years old and 20% discount when you book a 2nd room for a child 16 years or under. Valid in bungalow rooms only. Not combinable with early bird offer. 01 Mar-15 Apr 20 if you stay minimum of 4 nights in ocean senset pool villa, receive complimentary one time set dinner for 2 persons at Sunset Restaurant and complimentary one bottle of selected house wine in room upon arrival. 16 Apr 19-15 Apr 20 if you stay at least 12 nights receive an upgrade from a garden bungalow to superior bungalow, superior bungalow to a coral deluxe studio or a coral deluxe studio to a coral sea view studio. 16 Apr 19-15 Apr 20 receive flowers, flowers petals on bed and free upgrade subject to availablility on arrival if you stay less than 5 nights. Stay 5 nights or more and also receive a bottle of sparkling wine. 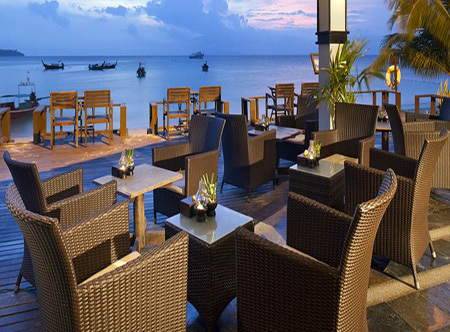 Take the opportunity to stay in a premier 5* beachfront location at a 4* price. Wake to stunning sunrises and sip a cocktail or two at one of the best sunset bars we have seen.